When the Yellowstone Super volcano exploded, the world as Alex knew it died. Society broke down and he witnessed that first hand as he trekked from Iowa to Illinois in search of his family. With the help of Darla, who saved his life on numerous occasions, he made it to his uncle's house, only to discover that his mother and father had left to look for him!! Talk about frustrating! I'm posting this review in anticipation of my blog tour stop for SUNRISE!! I'm very excited to let you know about the final book in this action packed series!! This book definitely captures the same type of feeling that Ashfall had. It's a very intense go, go, go, action-ey type book. It's still really interesting to read how society would break down after a huge Earth-changing disaster. And it's really sad. My heart broke time and time again at all the evil that this disaster brings out of people... and it smiled at all the little moments of humanity that shone through. So did I like this book as much as the first one? No. Definitely not. This book had a lot more frustrating moments in it. Moments where I felt the characters were uselessly risking their lives. Alex especially was constantly making risky decisions. Darla even mentioned killing him herself before someone else did, and I couldn't help but feeling like she read my mind. He just kept risking their lives so frivolously that I wouldn't have blamed her if she did. In the face of a disaster, you really can't afford to stop and help every single person who needs it. If you do, you're going to wind up dead one of those times. When the parents do show up in this book, I was not feeling them. The mom was trying to baby Alex who clearly has been through so much that he is definitely not a kid anymore. She annoyed me. The other thing was the priorities! Alex's priority was supposed to be to find his parents. Going away from that priority was how he ended up losing Darla. Then he finds the parents, only to find that their priority is to help a bunch of refugees in a camp rather than to reunite their family. Ummm hello??? But I did like that they didn't end up being the same people Alex remembered from before the disaster. It is a theme of this series- hard times makes people do things they never thought that they would do.... little by little it becomes easier, until they don't even recognize themselves anymore. Not to spoil anything here, but Darla isn't in the book as much this time and I desperately missed her!! She's the brain of the Alex/Darla operation. When she's around I feel like they will be safe because she knows what she's doing. Alex is too impulsive and frankly just doesn't have as many survival skills as she does. So basically I spent most of this book on edge and annoyed at Alex's ineptness. So it seems like I just did a lot of complaining, and I really didn't mean to. This series is excellent so far. When I was reading these books, surviving chaos was all I could think about. I literally was looking at my cupboards calculating how long that food would last me and wondering how long it would be before looters would be trying to break down my door. I honestly cannot wait to see what happens in Sunrise. It's killing me to know how everyone is going to live in this crazy crazy world. Oh yeah and if Yellowstone ever blows, I hope I'm just killed instantly because I've come to the realization that I won't cut it in a world of cannibals. No thanks!! Quote that summed up the book for me: "The disaster had warped the landscape of our minds- perhaps even more than it had altered the physical landscape." OVERALL: An intense follow-up to Ashfall. Darla and Alex are back and are now on a mission to bring his parents back to his uncle's farm... except nothing goes as planned in this volcanic world that you can't plan for. I loved reading this book, but realized that I don't like Alex near as much unless Darla is around!! 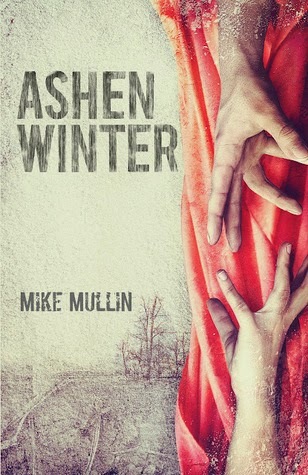 If you haven't read Ashfall, you really should do it!! It's a hell of a ride!